Monday, 21 January 2019, 3:46p.m. 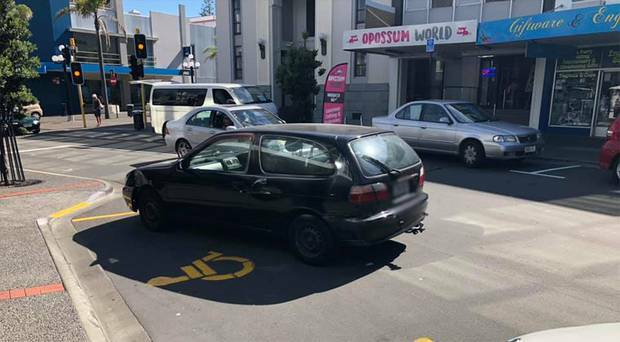 A dose of instant karma was administered when locals took matters into their own hands after a driver created traffic mayhem in Napier. 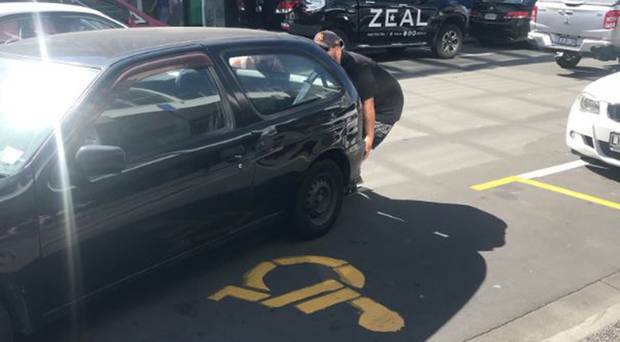 On Wednesday, January 9, a person pulled a dangerous U-turn along the busy Hastings St, cutting in front of traffic in an attempt to park in a vacant disability car park. 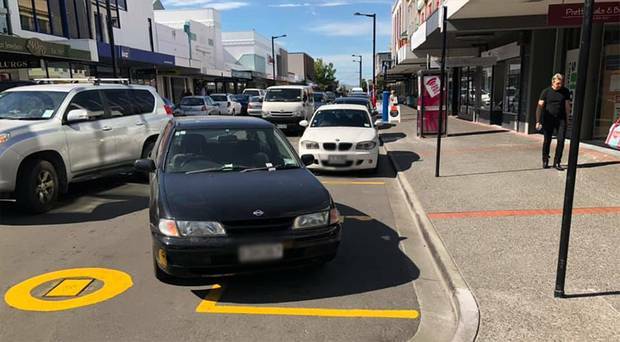 Not only did the person not have a disability parking permit but they had missed the park by metres, ending up parked in the middle of the road and holding up traffic. Traffic was backed up along the whole road, causing gridlock in town. With the driver long gone and road users fed up with the situation, locals took matters into their own hands, bystander Michaela Smith told the Herald. "Not only was this car in the disability park without a display permit, but it was also in the middle of the road so no one could get their car past. Only one lane could fit through." That's when two bystanders decided to deal with the situation themselves. "These two strong-looking dudes came along and were like 'bugger this' and lifted the car and moved it out of the way," Smith said. "People cheered, it was quite a momentous occasion for Napier. "There was a ticket on their window and their rego was two years out of date. They gave no f**ks and just parked there. It is not known who the driver is, but they were slapped with a parking ticket. After a call went out to find the two men who saved the city from its traffic woes, Levi Pauling admitted he was the one responsible for lifting the car. Not expecting a reaction for his good deed, Pauling told the Herald the situation was "pretty funny" but "had to be done". "I saw it was hanging in the middle of the road and traffic was backed up big time. "So I said to a big fella walking past 'give us a hand and let's f**king move this thing over because it's blocking all this traffic', so we got on the back end and shunted it over into the car park. "It was pretty funny but it had to be done. It was one of those scenarios, we just couldn't leave it like that. "Someone had to do it or it would have caused even more chaos."